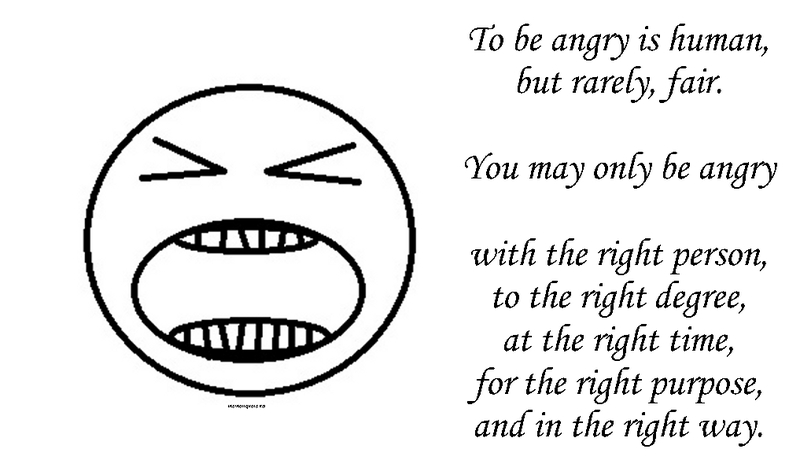 SHORT QUOTES: To be angry is human, but rarely, fair. You may only be angry with the right person, to the right degree, at the right time, for the right purpose, and in the right way. To be angry is human, but rarely, fair. You may only be angry with the right person, to the right degree, at the right time, for the right purpose, and in the right way.